One evening as I was preparing my cologne bath after a long day I accidentally poured a decant of The Different Company Sel de Vétiver instead of 4711 into the water. The explosion of scent–green woods, licorice and grapefruit–was so exhilarating and relaxing that I immediately felt refreshed. Since then, vetiver scented baths have become my favorite way to wind down. Vetiver is a tropical grass that has intensely aromatic roots. In India, where vetiver roots are woven into screens, it is known as “oil of tranquillity” for its relaxing, calming properties. A bath is one of the best anti-stress rituals, but when it’s accompanied by a scent, the effect is even stronger. Using Sel de Vétiver for a bath is not cost efficient, so I’ve experimented with vetiver essential oil and discovered that it produces a much more potent result. Vetiver has such incredible complexity that it can be diluted in an unscented carrier oil or alcohol and used as perfume. It’s the smell of a late fall garden and a winter beach rolled into one–driftwood, crushed hazelnut shells and damp leaves. Every year as I prepare my holiday presents, I try to include some handmade gifts for close friends and family. The holiday season is thoroughly commercialized, and I find that people appreciate the thought that goes into a handmade present. 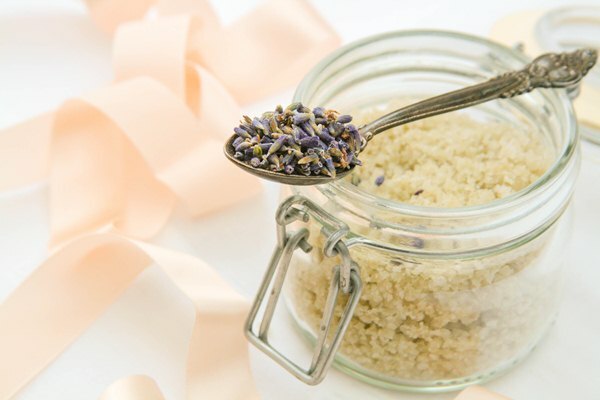 Bath salts are easy to prepare, and you can vary the presentation and scents to your liking. 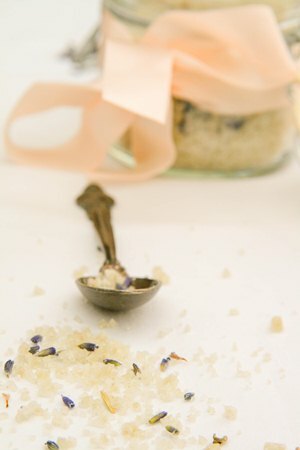 Even plain sea salt mixed with lavender blossoms or rose petals makes for a beautiful gift and a great bath experience. Essential oils are derived from plants by steam distillation, or in the case of citrus, expression. Essences called absolutes are produced by solvent extraction, and this method is frequently used on delicate flowers like jasmine and tuberose that can’t withstand the heat of steam. Vetiver can be treated in various ways, but in all cases, the perfume of vetiver essence is concentrated and rich, which is why you should exercise caution when dosing it. “Less is more” is a motto to follow. 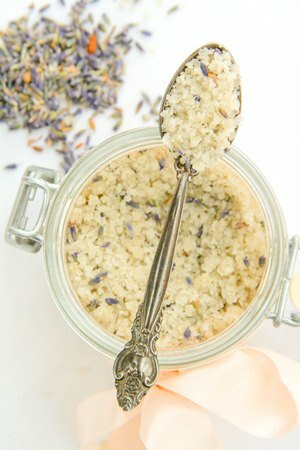 I predict that if you make these bath salts for a gift, you will be tempted to make a batch for yourself. So feel free to double or triple my suggested quantities. The amount of vetiver oil you add depends on the quality of oil you have. Some varieties are milder than others. Add oil drop by drop and stop when the mixture has a rich scent. Lavender flowers are optional; they added an aromatic top note to vetiver and look beautiful in the blend. You can experiment with other essential oils. 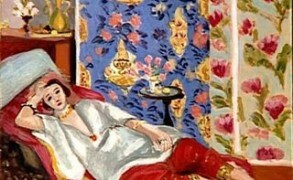 My favorites are lavender, rosemary, sage and–the most luxurious of oils, rose. Whenever you use essential oils in a beauty preparation, remember that they should never be applied on skin undiluted. Store them away from light and sources of heat. Alternatively, add 1/2 cup of almond oil to the salt mixture and turn it into a luxurious scrub. Wash the jar with baking soda, rinse well and bake for 20 minutes at 250F/120C. Place salt in a large bowl, add vetiver essential oil one drop at a time and mix well with a wooden spoon before each addition. 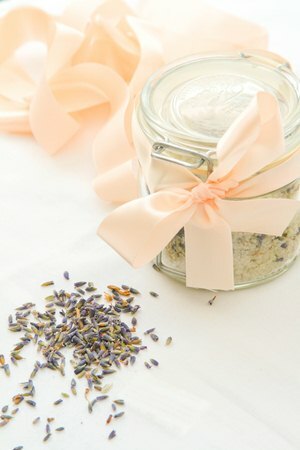 Add lavender flowers, if using, mix again and pack into clean lidded jar. The salts can be used right away, but the perfume will be more rounded and richer if the mixture is left to macerate for 3 days to a week. Store in cool, dark place. Use 2-3 Tablespoons in your bath. Where to find essential oils: Enfleurage in New York is my favorite place for high-quality essential oils. In Europe, try Aroma-Zone. ChrisinNY: Thanks for the gift suggestion. I think. They offer vetyver from Haiti. Would really enjoy those vetyver screens from India, have to see where they are sold. Daisy: There was this Chanel polish called Sahara Beige. It was just the most perfect pinky, milky, creamy beige with very classy and discreet sparkles. I wore it so much that the women at the pedicure place I go to started teasing me. Ann-Sofie: Great recipe, many thanks Victoria! I will do a scrub. I love essentials oils, and have used them in skincare for years. I blend essential oil of rosemary, lavendar, francinsence and labdanum with avocado oil and rose seed oil and use it as facecream (not close to the eye area, though). It is amazing, truly. Moisturize like nothing else and actually keep wrinkles away. I think it is because of the vitamin E in avocado oil and vitamin A in rose seed oil. And of course the essential oils! for example, the rosemary is promoting the circulation. I never use olive oil – it just stays on the skin like an oily layer. Oh, and coconut oil for the hair! Makes wonders on dry, listless hair! And is easy to wash away. Let the oil sit in yout hair a couple of hours, then schampoo twice and – tadaaa! Victoria: It sounds like our cupboards contain many of the similar ingredients! I swear by Virginian cedarwood oil, which I sprinkle in my closet. Not only does it have a great scent, it’s effective against anything that might harm the clothes. Amer: Great post Victoria and thank you for the idea. What is the effect of sea-salt in a bath? I have used it as a scrub. Do you use this in combination with soap or shower gel or just straight salt-water? 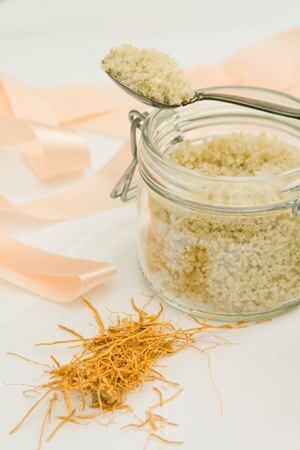 Victoria: It softens the skin and promotes a mild exfoliation. If you use a wash cloth afterwards, you will notice how much easier it will be to polish the skin. You can certainly use salt to exfoliate, but that’s a different effect. Austenfan: Luckily you didn’t bath in your last drops of Iris Gris or some such. This sounds good and easy. I have never tried any of this but I think I will. Bela: They still are, but the Dead Sea doesn’t just contain a lot of salt, it contains masses of beneficial minerals. You can’t reproduce the effects of the Dead Sea by just adding salt to your bath water. Daisy: I had a friend who went and he said that anyone who goes should get a pair of those neoprene swimming shoes with the rubber bottom because the heavy mineral deposits on the bottom of the sea are pretty jagged. Victoria: I’ve heard that too. Even the effect from regular sea salt can be impressive. annemariec: I’m looking forward to this and have just picked up some vetiver oil from an Australian supplier. I’ll give the epsom salts a go; that sounds lovely. Undina: Wow… I’m so impressed. It seems like a simple idea but it excites me. Probably it’s holidays in the air. Thank you, Victoria.